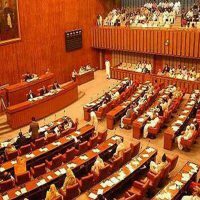 ISLAMABAD – The Senate Standing Committee on Information and Broadcasting recommended giving advertisements to media and sought Federal Minister for Information and Broadcasting Fawad Chaudhry for briefing on the draft advertisement policy of the government. The committee asked Ministry of Information and Broadcasting to get the approval of the committee and include its input in process of merging media regulatory authorities, including Pakistan Electronic Media Regulatory Authority, Press Council of Pakistan and Pakistan Telecommunications Authority. The committee, which met here with Senator Faisal Javed in the chair, asked the ministry that the input of the standing committee should also be taken before finalisation of the new advertising policy. Faisal Javed said that print, electronic and social media had their own dynamics and it would be difficult to cater their requirements under one roof. He said advertising should not be used for personal projection of the government functionaries, but is needed for creation of awareness among the people and it is also necessary for media growth. The government had proposed in the draft that it would discontinue involving advertising agencies in its media campaigns. It is a specialised field and services of experts are needed to achieve targets, he said. On the issue of merger of regulatory authorities, Secretary Information and Broadcasting Shahfqat Jalil said the present system was complaint-based while PEMRA and the PCP had no judicial powers. Under the new authority, a special tribunal has been envisaged to ensure instant implementation of decisions, he added. He said the initial draft of advertisement policy was submitted before the committee to get input of its members. He dispelled the impression that the government had imposed major cut on advertisement budget as compared to past two years. Total advertisement budget of both government and private concerns in the year 2017 stood at Rs86 billion and in 2018 Rs81.6 billion. He said with the passage of time, the advertisers shifted towards digital media and the government had nothing to do with the private parties. The secretary said that up to 1997, private agencies were not involved in advertisement process, which was introduced in that year to overcome the backlog of payables to the newspapers. Unfortunately, the payables had now crossed Rs3 billion which showed that the problem had multiplied during the past 20 years, he added. He said lack of creativity was visible in government’s advertisements. The government wants to have value for its money. Under the new policy, government institutions would themselves prepare advertisements without involvement of private agencies, he added. Shafqat Jalil said for the promotion of media technology and training of Information Technology (IT) professionals, the government was planning to open National Media University in near future. Earlier, on an agenda item about alleged character assassination of the politicians, PEMRA Chairman Saleem Baig said that show-cause notices and advices had been issued to some 26 television channels while a programme of a news channel was also banned for a month for violation of PEMRA rules. PEMRA is taking strict action against news channels airing fake news and the situation has improved, he added. PPP Senator Rehman Malik said that media persons did not know the difference between the accused and the convict. Character assassination of his party’s leadership is being done by a section of the media in violation of the Supreme Court’s order regarding the sub-judice matters, he added.